The Carlton White F2 Badminton Shuttlecock has high performance, medium speed and hi-visibility. 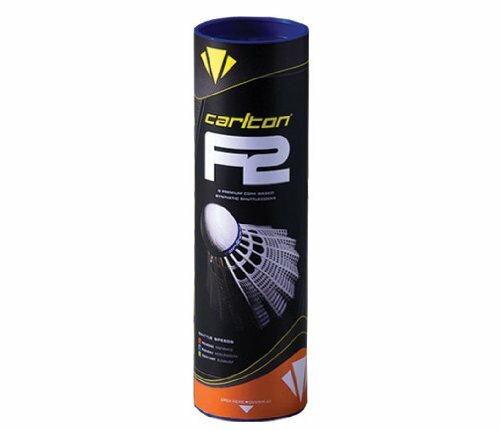 The cork based, plastic nylon skirted shuttlecock is latex free and approved for tournament play. Set includes 6 shuttlecocks.